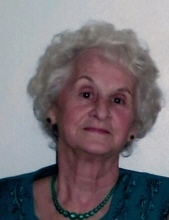 Anna Louise Bratcher, 79, of Cloverport passed away Sunday, October 14, 2018 at Owensboro Health Regional Hospital. Louise was born May 1, 1939 in Cloverport to the late Austin and Jesse May VanConey DeWitt. She loved cooking, gardening, construction, carpentry and painting pictures. She loved to cook for people and was famous for her banana bread and peach cobbler. Any child that came through her door, became her child. She was a devout Christian and will have many jewels in her crown. She served her Lord and her church, but her main love was caring for her children, grandchildren and great grandchildren. Leaving behind to cherish her memory and the many wonderful things she accomplished is her husband, Dwain Bratcher; sons, Ronald Dwain (Carol) Bratcher, Terry Steven (Sharon) Bratcher, all of Hawesville; daughters, Rita Ann Gamble of Cloverport, Carolyn Sue Burnett, Hudson, KY, Mary Lou (Robert) DeJarnette, Cloverport; brothers, Austin (Ellen) DeWitt, Herbert Wayne DeWitt both of Illinois and sister, Barbara (Jim) Purcell of Owensboro. Louise also leaves behind numerous grandchildren, several great grandchildren and great great grandchildren, who all felt the love she had for them. A celebration of Louise’s life will be held 11:00 am, Wednesday, October 17 at New Life Baptist Church with Bro. Chad Swihart officiating. Burial will follow at Cloverport Cemetery. The family will receive friends and family from 4:00 – 8:00 pm, Tuesday at Cloverport Funeral Home. You may share your thoughts and memories of Louise with the family on our website: www.cloverportfh.com. To plant a tree in memory of Anna Louise Bratcher, please visit our Tribute Store. "Email Address" would like to share the life celebration of Anna Louise Bratcher. Click on the "link" to go to share a favorite memory or leave a condolence message for the family.